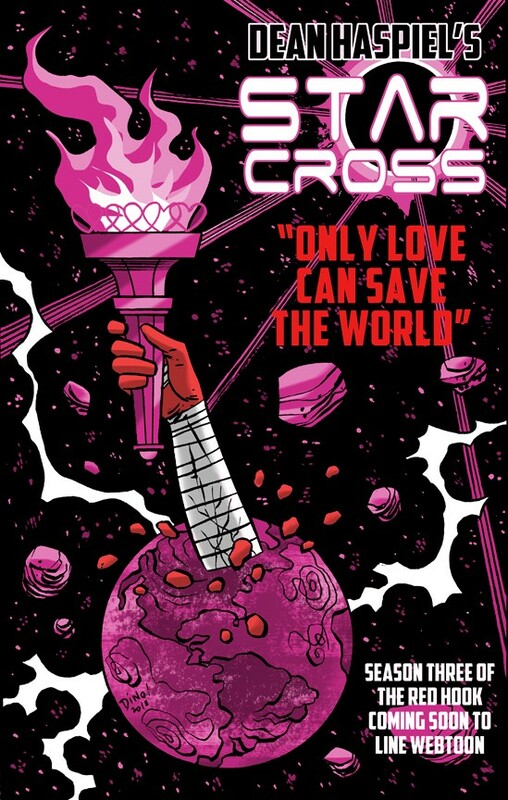 Starcross is the fifth Webtoon series in the New Brooklyn Universe, and the anticipated follow up to The Red Hook trilogy’s second season, War Cry which wrapped in May. Starcross will publish new episodes weekly beginning in early 2019, for free. Recently published in print by Image Comics, The Red Hook won the 2017 Ringo Award for Best Webcomic and the sequel, War Cry, is a finalist this year for the same award. Both titles are currently available to binge at LINE Webtoon. Still free.